While 3D printing is not a new phenomenon anymore, it’s certainly reaching the mainstream. According to analysts at US technology research firm Gartner, 3D-printer shipments will grow exponentially until 2018, with market spend estimated to reach $13.4bn by then. And more importantly for potential start-ups, CCS Insight predicts sales of consumer 3D printers will grow 10-fold from 81,000 in 2013 to 850,000 in 2018. While a lot of revenue in the 3D printing sector will remain with more industrial systems – where large 3D printers, costings hundreds of thousands of pounds are used in the aerospace, automotive and healthcare sectors for prototyping and manufacturing – there is a growing opportunity for small firms to kit themselves out with a consumer 3D printer and launch a low-cost, custom-made 3D product business. According to our tech trends piece, Sir Richard Branson and Virgin Media Business cited 3D printing as one of “three new things” set to change the way we live and work in 2015 – and it certainly has the potential to enable the easy manufacturing of a diverse range of customised products that could transform our daily lives. From American start-up Normal’s custom headphones “made just for you” to UK-based OwnFone’s 3D-printed, personalised phones, 3D printing offers the ultimate small production run – a product can now be tailor made for just one customer. With Mintel reporting that “consumers are striving to acquire products that reflect their own personality, or at least their bespoke requirements”, 3D printing gives budding product start-ups the tools to respond to consumer demand and stand out in an increasingly mass-produced world. 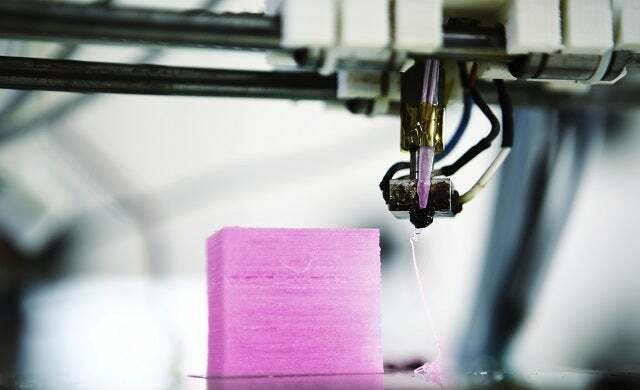 While traditional manufacturing remains cheaper for large print runs, 3D printing is actually a cost- and time-effective alternative for small production runs, especially now that the price of the printers themselves is decreasing. Retailer iMakr.com’s Solidoodle allows you to “start your 3D printing journey” from just £599 and you don’t need to make large outlays on moulds, assembly lines or stock. In fact, it’s not even essential to purchase your own printer. In December 2014, Royal Mail announced a pioneering trial with iMakr that will allow customers access to 3D printing technology at its central London delivery office – with plans to roll it out nationwide if successful. And incubators and workspaces such as Barclays Hatch offer access to 3D printers too. Primarily 3D printers use plastic filament to create solid 3D objects and early-adopters of 3D printing for consumer products tended to focus on jewellery and figurines but there is a shifting demand (and opportunity) for more functional products, according to Mintel. The range of materials that consumer 3D printers can currently use is somewhat limited but the key is to find a product that combines a functional use with consumers’ increasing demand for personalisation. Technology, fashion and the food and drink market all offer opportunities for you to launch either a quick turnaround manufacturing business – perhaps producing customised replacement parts for phones – or launch a less-specialised 3D shop producing unique products, such as customised shoes or taking personalised labels to the next level with engraved drinks bottles. Who else has started a custom-made 3D product business? There are a number of start-ups already making waves in the mass customisation 3D printing space. Wanting to address the fact that “people have been talking about 3D printing and mass customisation as the new future of manufacturing” but that “there hasn’t been a really good consumer application for that technology”, Normal founder Nikki Kaufman launched her custom-fit 3D printed headphones late last year with $5m backing from angels and VCs. In addition, personalised mobile phone start-up OwnFone raised £786,000 in December for its mini-mobile phones that are fully customised and made to order. And in just a couple of months Amsterdam-based Freshfiber built a popular line of iPhone cases that are now sold globally. Two years after launching it was acquired by American business 3D Systems which wants to use the brand to capitalise on the growing personalised electronics accessories market. “Advances in domestic 3D printers provide workable methods for people to design and build customised products.